Rs-250/-(Inwards Rs-Two Hundred Fifty Only) in favour of Krishi Vigyan Kendra(PIRENS) Babhleshwar payable at Loni towards payment of processing fee is enclosed herewith. I do hereby declare that,all the particulars furnished in this application are true and correct. I clearly understand that any false,misleading and incorrect statement or information contained here will render me liable to appropriate action as may be decided by the Secretary General,Krishi Vigyan kendra(PIRENS) Babhleshwar. Application are invited to the following vacant post under plan scheme of Krishi Vigyan kendra. 1.Matriculation pass from a recognized Board. 3. Experience of motor Mechanic work. The applicant should refer our website www.kvk.pravara.com for qualification,experience details & format of application. 1. The last date for receipt of application will be 30 days from the date of publication of advertisement in Employment News.If the last date happens to be a Sunday or closed holiday, the next working day will be taken as crucial date.The crucial date for determining the age limit shall be the closing date for receipt of application from candidates. 2. Maximum Age limit for the post of Driver should not exceed more than 30 years as on closing date of application. 3. Age relaxation to SC/ST/OBC and pwD Candidates as per Government of India rules. 4. Duly signed application in the prescribed format along with self-attested copy of certificates including proof for date of birth & self-attested photo affixed in the application should be addressed to The Secretary General ,Krishi Vigyan Kendra (PIRENS) Babhleshwar.Pin-413737 Tal-Rahata,Dist-Ahmednagar(Maharashtra) by post only. The envelop should be superscribed as “Application for the post of Driver”. 5. KVK, its management or funding agency will not be responsible forany postal delay. 6. Only Screened candidate will be called for interview.No TA/DA will be provided to attend the skill test/interview. 7. Employeed applicants should send the application through their employer with Original No Objection Certificate. 8. Incomplete application in any form & the application received afterdue date will not be considered. 9. The candidates himself/herself should confirm his/her eligibility for the post applied for, before submission of application.No correspondance,whatever,in this regard shall be made/entertained. 10. 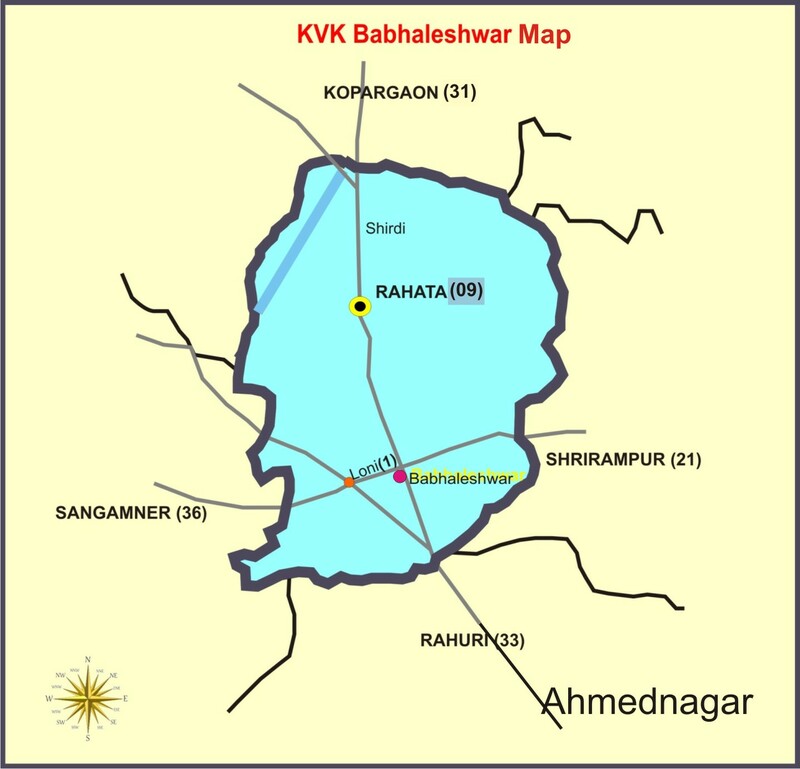 KVK (PIRENS, Babhleshwar reserves the right to fill the post or cancel the advertisement. and/or DD and application received after due date will be summarily rejected without any notice and no correspondance in this regard will be entertained.